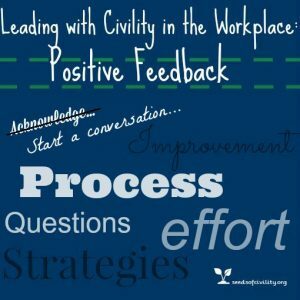 Giving positive feedback is an important skill, however it is a tricky skill to apply. 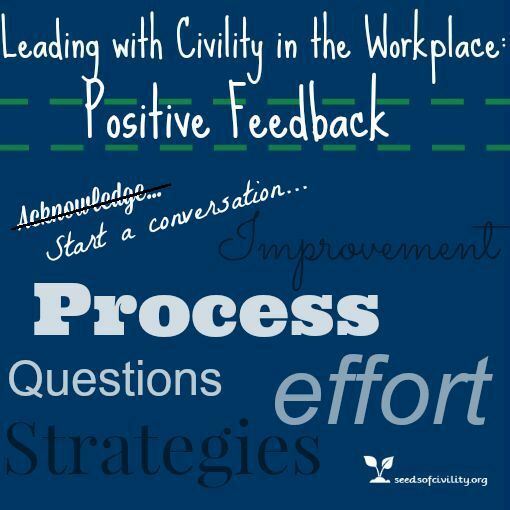 We teach giving positive feedback as one of the eight civility practices in our workplace programs . The research from Carol Dweck on growth vs. fixed mindset informs our perspective. Dweck’s work suggests that feedback can impact whether a person stays in a growth mindset or becomes fixed in their thinking about their work. When we acknowledge a person’s talent and intelligence, the person can become stuck or fixed in thinking they need to maintain an image of being talented or smart. Manager: I appreciate how well the office has been running since you started. Instead of stopping with this two line interaction, follow up with a question that supports the employee to reflect on the effort or process involved in the good result. Manager: What are some of the things you did that made the office run better? Employee: Well, I am not sure. I haven’t really thought about it. Manager: It would be helpful to know because maybe we can apply the process to other situations. Employee: Well, I have been paying attention to the workflow. I noticed the reports different people use and thought about how to set things up so everyone knows were to find important reports. Manager: What other ideas do you have? Employee: I can’t think of anything right now. Manager: Ok. This kind of thinking process can be useful in other areas so let’s keep thinking and talking as you have new ideas. This interaction sets the stage for an on-going dialogue about how things are going. 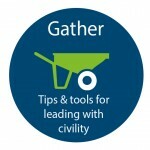 In this manner, conversations plant seeds for a civil workplace that respects the processes that lead to good results. 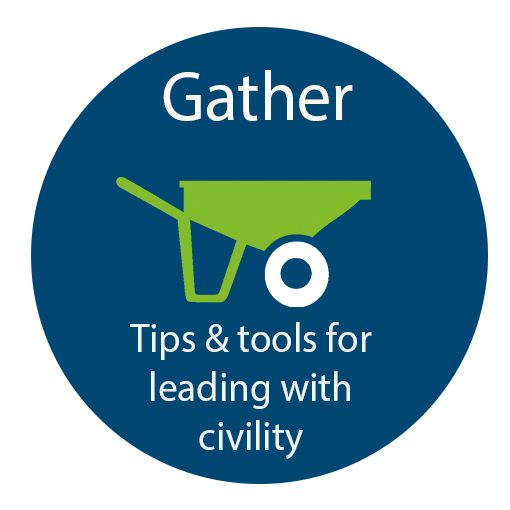 The Wallace Centers of Iowa shares tips and tools for leading with civility in the workplace. Tweet your thoughts to keep the conversation going?